Happy summer, everyone! I hope you're enjoying it and able to get out as much as I've been - I've traveled literally halfway across the United States (by car) and back over the last few weeks - and am preparing for travel once again. The girls and I have been busy, busy! The only thing I regret on long vacations is the fact that, usually, my husband is left behind. We sure enjoy getting home to see him! 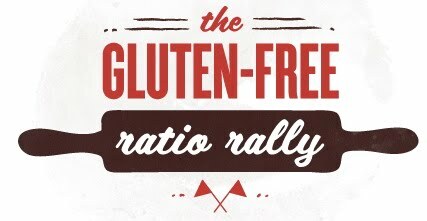 Obviously I missed, once again, the last Gluten-Free Ratio Rally. I hope to remedy this by providing you with the links (even though they are very late!) to the yummy breadsticks and crackers the other participants baked up for you. 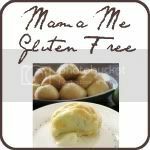 This challenge was hosted by Rachel over at The Crispy Cook, where she made cilantro crackers. 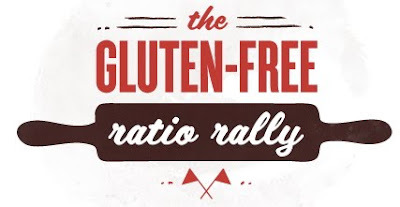 If you aren't familiar with the ratio rally, check out my rally page where I have linked to the introduction post written by Shauna from Gluten-Free Girl as well as all the other rally challenges I've posted about. The good news is I AM participating in the challenge for August and have already written that post and scheduled it for publication on Wednesday. In the meantime, enjoy these other delicious recipes, as well as Rachel's above!